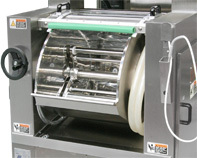 LABORATORY MIXER / DEVELOPMONITOR SYSTEM | OSHIKIRI MACHINERY LTD. This is a Horizontal Mixer for full-scale laboratory experiment for bakery and flour milling industries. Abundant optional are available. Objective data construction in the mixing is supported. 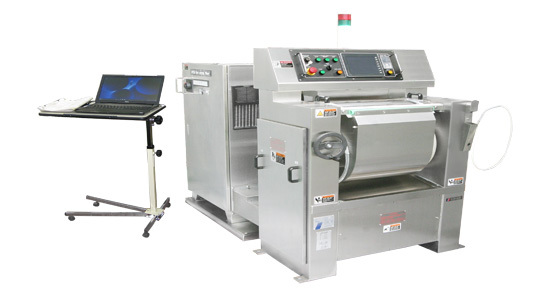 Record and control objective data of dough temperature and dough at develop monitor with observing dough mixing condition from transparent top cover. Dough temperature control is applied as same method as larger horizontal mixers. The drive is variable speeds to be used. RPM of agitator can be set volutary. The data in mixing can be overlap with past mixing data. This can be compared at real time. The display of develop graph, dough temperature and motor electrical power is standard. OBJECTIVE DATA CONSTRUCTION IN MIXING AND STEADY OF PRODUCT ARE SUPPORTED. he data in mixing can be overlap with past mixing data. This can be compared at real time. As example of mixing for white bread, optimum mixing time in most of cases is time just after develop peak is passed in one to two minutes. (This will be changed depending on recipe and breads, etc). Here is shown in over mixing to explain the develop peak of dough. 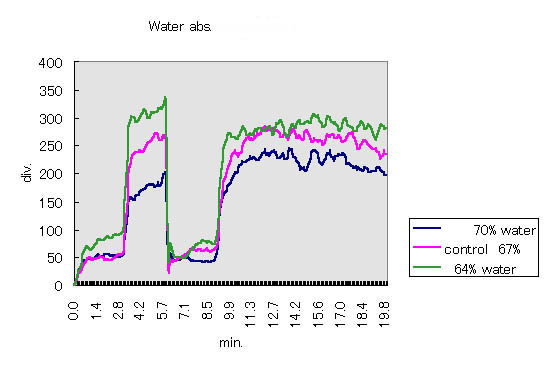 The differences of the speed of dough complete, mixture of dough after dumping fat are found from each graph. The dough without salt addition becomes tight dough as initial dough complete is quick, but the dough will be broken quickly after that.